A vintage comical Valentine from a tablet (see 4th photo where torn from tablet at top of Valentine). "Pain In The Neck". Paper is thin. Creases to upper and lower left corners. Indentation marks on right lower side but no holes. Perfect to frame or use for paper ephemera. Great collectible! Measures approximately 8"x5 1/4". Questions? Please ask! Your idea of vintage and mine may differ and I want you to be happy with your purchase. Please view the photos as they are part of the description. Being sold as described above. 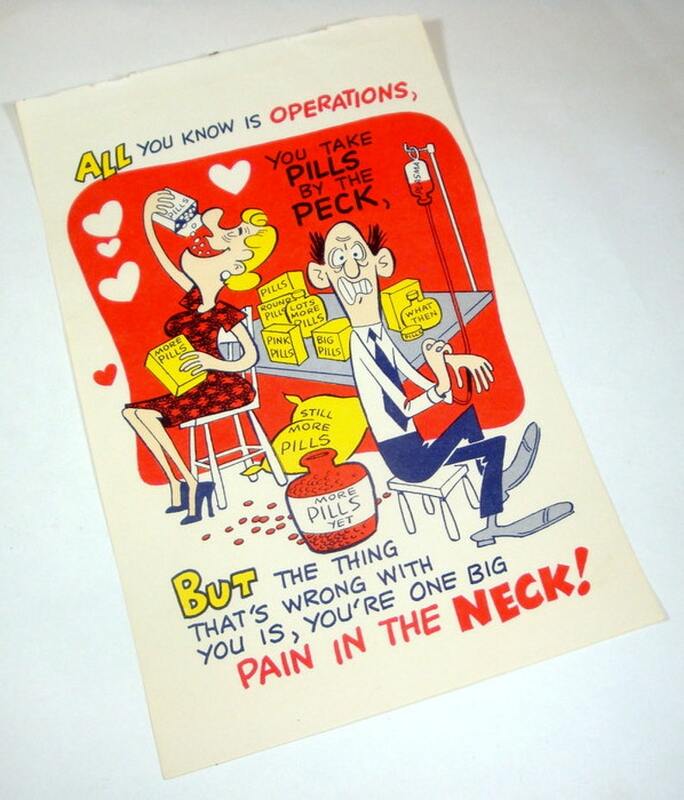 More comical valentines? I'll always combine your shipping and I do ship worldwide.